Here are the notes of something I am developing right now, a project I am calling INCANTATIONS. I just sent these notes to a writing residency I applied for, but I think if you are interested in magic (or poetry) you might also find these blueprints intriguing. Language, as the poet knows, is also intoxicating. Poetry can make one drunk. Words can elate, inspire, depress, relieve, relive, words can change our innermost ideas and ways of seeing. Therefore they have the power to mold, shape, and change reality. I became a writer because there is no more powerful thing that one can aspire to be. To shape words well is to shape humanity. A bookshop is a drug store. An Opium den. A poet is a wizard, a witch. A novelist is a magus and a seer. An essayist is a sort of warlock. A gas station attendant reading Rimbaud is within and intermingled with Rimbaud. He is Rimbaud. It has a visual element. That is, these are poems that are meant to be posted up on walls like paintings. To that end I will incorporate symbols, visuals, colors etc. The incantation shall have a purpose. It has a desire, an aim, like a sentient thing. In other words it has a magical purpose. In the same way that a superstitious or religious person may make some ward or gesture for luck; i.e. the sign of the cross, salt over the shoulder etc. The incantation shall have a magical purpose in other words. Those are the three aims, from this I believe a new thing can be created. But perhaps it is not so new, it is a return older magics. After all magic is the wellspring from which all art was born. 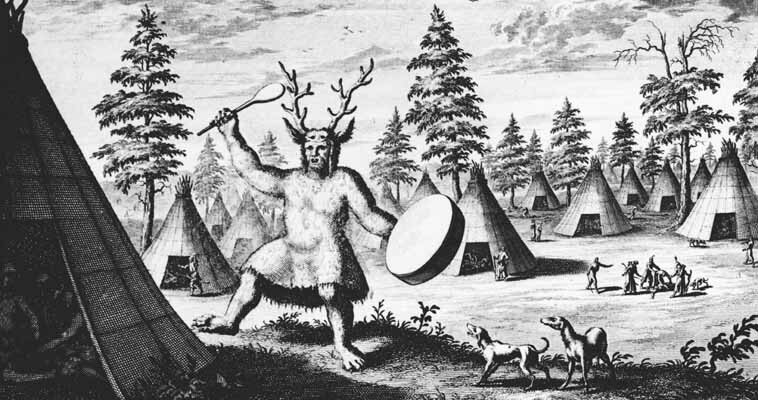 Picture the ancient rites of the caveman shaman dancing like a reindeer or a wolf before the hunt, for his fellow homo sapiens. Entertainment, culture, art, and religion were born from magic rituals. In these magic rituals were born the primogenitors of music, poetry, song, theater, and from these rituals came the stories that developed into our concepts of society, social mores, justice, history, the gods, and all of the abstract notions that go into making human society. Ancient man had rituals that were meant to influence the outcome of reality. I want to experiment with making those again. This idea is really not so strange; it is being tried already by corporations, by architects, and urban designers. The colors in the logo of McDonald’s are designed to stimulate hunger. 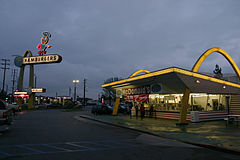 The tempereture inside of a McDonalds is likewise meant to stimulate hunger (we eat more when we are a little bit cold). There is a McDonald’s in Seattle that pipes classical music outside its doors in order to keep riffraff from accumulating there. Another example: people have been said to be more relaxed at work if they can see some green plants and trees from where they are sitting, even if it is just a photograph. There are countless other examples. The point is that we humans can often be surprisingly influenced by our surroundings. We can use this fact to our benefit. We also know that words have a powerful effect on us. I propose to design large poem/poster things, that are equal parts subliminal, visual, poetic etc. Each of these incantations will be created with a specific utilitarian purpose in mind. Such as to foster: creativity, happiness, peace of mind, energy, etc. In other words the intent of the incantations shall be pretty straightforward. 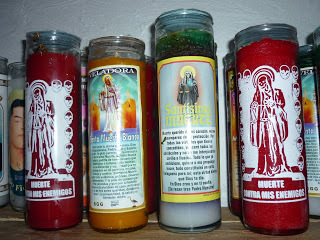 Sort of like those Mexican candles, Veladoras, that you can buy in taqueria’s that are meant to invoke different virtues, by virtue of different saints. It is also somewhat akin to the Buddhist concept of a mantra. The innovations being: what if these old concepts of magical thinking can be created on purpose, anew, right now? Ultimately I would like to make these on posters using a silkscreen, and I may ultimately work with a visual artist to get them looking right. I don’t know what the specific words are for these incantations yet, I just have the general idea of the thing.